Paradise Interrupted, a contemporary Kunqu opera that is a work in development, is presented as a three-part artist residency at the Performa Institute. Over the course of the first four days, Jennifer Wen Ma creates a large-scale three-dimensional paper garden stage set with art students and the general public. Wen Ma and her collaborators then conduct a public two-day workshop of the work in process. The program concludes with an evening event, featuring a preview performance by opera singer Qian Yi set within the wall garden created during the week-long residency, and a panel discussion with the core creative team, which explores the voice in Chinese and Western performance, illuminates the ways the female protagonist is a signifier of emotional and spiritual quests in the opera, and delves into their collaborative creative process. Paradise Interrupted is co-presented with Witte de With in New York at Performa Institute. Jennifer Wen Ma was invited by Defne Ayas, Performa Curator at Large and Director of Witte de With Center for Contemporary Art, to develop Paradise Interrupted at Witte de With Summer 2013. Generously Supported by the Asian Cultural Council. 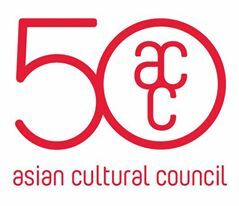 The Asian Cultural Council is a nonprofit organization that supports US-Asia exchange through the arts by awarding individual fellowships and grants to organizations to support projects that foster exchange between Asia and the U.S. ACC also funds regional travel within Asia. Since 1963, ACC has made approximately 6,000 grants to individuals and organizations representing a wide range of creative disciplines and a vast geography.